Editors Comment: We have updated this article with new information in orange! Occasionally, we write about the #1 Content Management System (CMS), WordPress. It is, after all, the platform we built our site and blog on, as well as numerous client sites. We love it. A few months ago, I wrote about the difference between WordPress.com and WordPress.org after having had the opportunity to walk through the .com version for my personal blog. You see, I’d never actually used WordPress.com, although I’d often lauded the benefits of the self-hosted version. Therefore, the complete lack of flexibility was an unpleasant surprise when I set up Life, It’s a Work In Progress as a dot com site. We’re marketers and we work with businesses to provide the best options for them. WordPress.com is a good choice for some people, but not for most of our clients. It’d be a shame for people to use the dot com version because of something as simple as lack of expertise. We’re marketers and we believe strongly in businesses being able to brand themselves. While the dot com version allows you to add sharing buttons, they all end in @wordpress; there are other things as well. In short, when you’re on the dot com version, you’re branding WordPress, not your company. We’re marketers and we believe your content should help build your site. True, you may guest blog, as we’ve done on several occasions. There’s nothing wrong with that. However, if you’re going to build an information hub, why build it on another site? Why not use all that fantastic, informative content to boost your site’s visibility and authority? Now that I’ve shared at least three of the “why’s”, let’s get to the “how”, shall we? To have a self-hosted WordPress, you’ll have to have a domain name, hosting provider and server. Once you have an idea for names, you’ll have to make sure they’re available. You can search through domain names at instantdomainsearch.com, domainsuperstar.com, and pcnames.com (among others). We’ve recently discovered help during this aspect of finding and securing a Domain name/idea: Learn how to find the perfect name for your startup, project or idea, without pulling your hair out. Another great resource we need to add to this articles is a nice step by step article on how to get started in Blogging. From article writing, managing your blogs, including great tips on WP set up! There are so many hosting providers out there; the choices will bury you if you don’t have a set of guidelines. Happily, The Site Wizard has an excellent, in depth article for choosing web hosts that will help you find the right one for your purposes. However, when looking for a provider that handles WordPress, you’ll need to ask a few questions. ClickHost’s “WordPress Hosting Simplified” has a good outline for finding WP-friendly hosting providers. 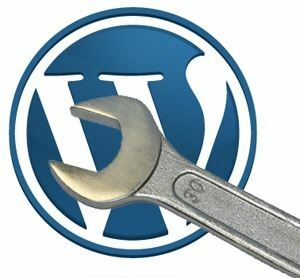 There are two ways to install WordPress, and I’ll walk you through both. 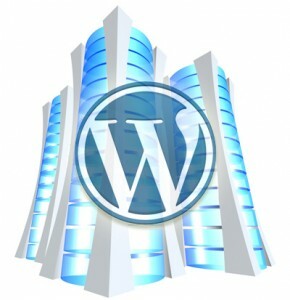 If your hosting provider offers Softaculous or other script installer, you can install WordPress with a single click. Simply follow the instructions sent to you in email to sign into your CPanel, scroll down until you find “Softaculous” and click. Once it loads, it will give you the option to install a WordPress blog. Click “install”, fill out the information, click “install” again and voila. You have WordPress on your site. Since you’re using WP as a site and not a blog, don’t assign your WP installation a directory name. Leave this section blank (delete “wp”). If you’re not sure whether you need to enable Mutisite, you don’t. You can change the site name and description at any time. You may not have Softaculous, or you may prefer to do it yourself. If this is the case, you’ll need to get your WP files ready by visiting the WordPress.org download center, downloading and unzipping the file onto your computer. Then follow WP’s famous 5-minute install. It really doesn’t take near as long as it might look initially, and it really is easy to follow the steps. A lot of business owners get nervous. Don’t be nervous. It’s kind of hard to mess it up if you follow the steps as outlined. Now what did I do with my easy button? WordPress already comes with the Twenty Eleven WP theme, and it’s pretty flexible as is, but that doesn’t mean you might not want something else. There are thousands of themes available, between the free, paid and premium versions. There are also frameworks (sort of a wire frame with the essentials already there), such as Thesis Themes (our favorite), Headway Themes, and the Genesis Framework. The frameworks are more for those that want ultimate flexibility in design. Once you find the theme you like, download the .zip file to your computer. Sign in to your WP installation by visiting the login page (http://yoursite.com/wp-login.php). Follow the left-hand navigation down to “Appearance”, then “Themes”, “Install Themes” and “Upload”. Choose the .zip file, upload and then activate. The number one reason I’ve recommended WordPress to so many people – friends and clients alike – is ease-of-use. Once WordPress is set up, building and publishing content is a breeze. We wrote “WordPress: A Brief How To” and “WordPress Widget Wonderland and Plugins, Too: A WordPress Tutorial“, which covers the necessary information to get to the publishing stage. “SEO WordPress: 7 Plugins for Better Websites” gives a list of plugins that can help smooth the way your site runs. 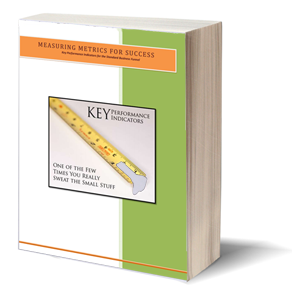 Are Keyword Density Percentages Killing Your Content? It doesn’t do a lot of good to have a WordPress site if you don’t provide a way for it to be blasted about the Internet. An article at Entrepreneur.com points out how important sharing is for a website, and how easy it should be for your visitors. With that in mind, Smashing Magazine’s “25 Social Media Plugins for WordPress” is a great place to start. Keep the plugins at a minimum. If you don’t need them and they don’t enhance user experience, don’t use them. Delete any plugins that you no longer use. If you can afford it, paid WP themes are better. They generally have better code and some type of support. Keep it simple. Because of how easy it is to use and add neat affects to, many tend to flood their site with goodies. The sidebars and footer quickly fill up with calendars, videos, tag clouds, talking heads and more. Resist the urge to add the things that distract from your content. Take off the telltale signage. On every blog and blog theme is signage, such as “Just another WordPress blog” or “Get smart with the Thesis WordPress Theme from DIYthemes.” Take the time to remove these telltale signs, which will make your WP installation look more professional. If you’re new to setting up a website, we hope this will help you understand a little bit more of how to set up a self-hosted WordPress site. It’s not near as complicated as it might first seem and, although it’s a little involved from start to finish, will get you well on your way to a rockin’ business site.